I have a new kitchen toy and I'm obsessed — a vegetable spiralizer. I got the one Angela at Oh She Glows as well as some peeps on Facebook recommended and it's fantastic. I highly recommend it and it's pretty reasonably priced on Amazon. It magically makes noodles out of vegetables. Or curly fries. Or slaw. I broke it in by making zoodles (zucchini noodles) with a lightened up version of garlic tomato cream sauce that I'm pretty proud of. Husband said, "I didn't expect to like this but it actually is really good." Gee thanks, hubs! I love creamy tomato sauce but wanted to make a lightened up version that didn't include heavy cream. And in all seriousness, we didn't even miss the heavy cream. This tastes just as good without it! The secret ingredient: Cauliflower. Which means this whole dish is basically a bowl of vegetables. 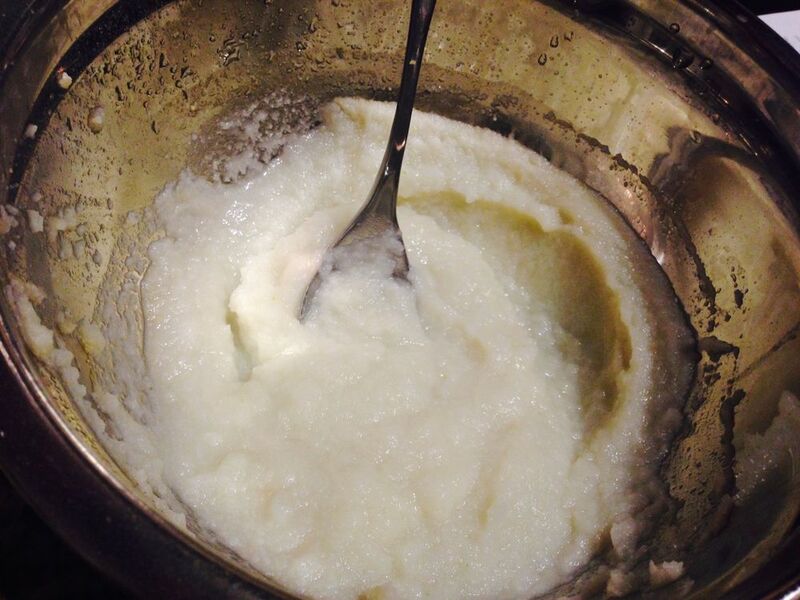 First, prepare the cooked and creamed cauliflower (your substitute for heavy cream in the garlic tomato cream sauce). I made this a couple of days ahead of time and ate some with salt and pepper with dinner. It's kinda like mashed potatoes. Bring a pot of water to a boil and add cauliflower, roughly chopped. Cook for 10-ish minutes until cauliflower is tender. Drain and blend with 1/4 cup milk until texture is creamy. I cooked the zoodles in boiling water for about 3-4 minutes to make them a bit softer and more noodle-like, but this step is optional. Chop onion and garlic. Saute in olive oil on medium heat until translucent. Add canned tomato sauce, cauliflower puree and pepper (to taste). Simmer for 5-10 minutes. 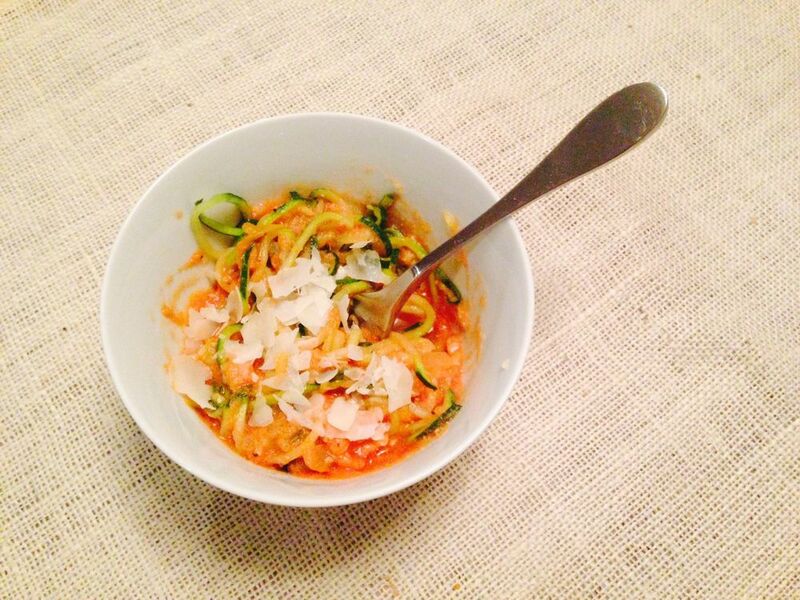 Top zoodles with sauce and parmesan. Do a little happy dance because this sauce is legit. I'm excited to try new recipes using my new toy. You guys shared some on Facebook that are on my "to make" list!